GPA Property service is owned and run by Graham P Atkins. Do you need a certified, reliable and good-value chimney sweep in Lincoln/ Lincolnshire? If so, please give me a call. 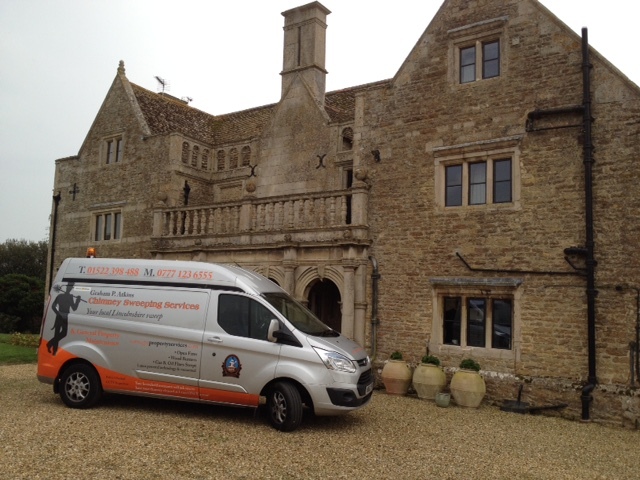 I offer professional, certified chimney sweeping services to both Lincoln and Lincolnshire. My service ensures you can use your fire as much as you like without worry. Chimneys swept – total soot & debris removal. I am a National Association of Chimney Sweeps (NACS) certified chimney sweep offering professional chimney sweeping services to Lincoln and surrounding areas. My professional services remove all soot and debris from your chimney, so you can use your fire without worry all throughout winter. And I always leave you with NACS certificates to certify that your chimney has been inspected, swept and cleaned according to the NCAS code of practice. All customers get their chimney swept using industrial strength power chimney sweeping technology for additional peace of mind. I also have a chimney inspection camera for troubleshooting .